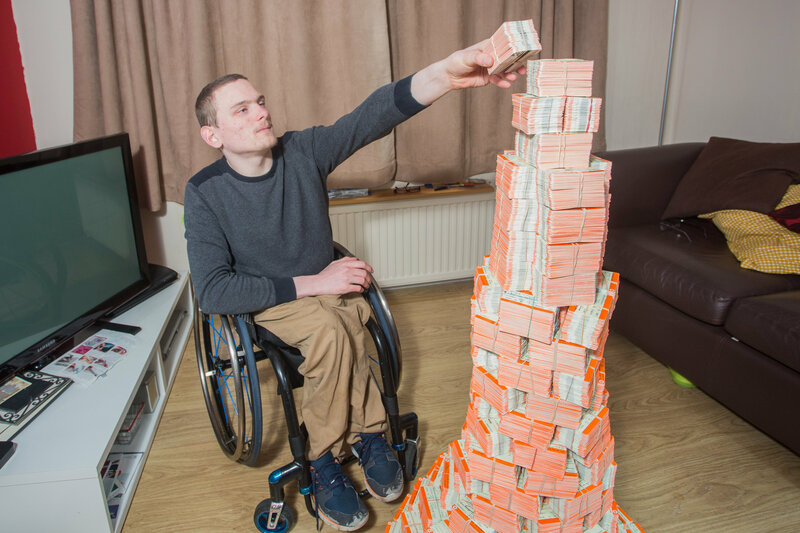 James Connelly, 19, at his home near Huddersfield, West Yorks., with his collection of 87000 train tickets. A teenager who has collected almost 90,000 train tickets says he has his sights set on breaking the current world record – before tickets go paperless next year. James Connolly, 18, has been collecting tickets since 2014 and is on track to achieving his goal after collecting over half the amount he needs. The current record of 163,235 is held by Frank Helker, a German man who has amassed his own collection since the 1980s and was awarded the title in 2004. 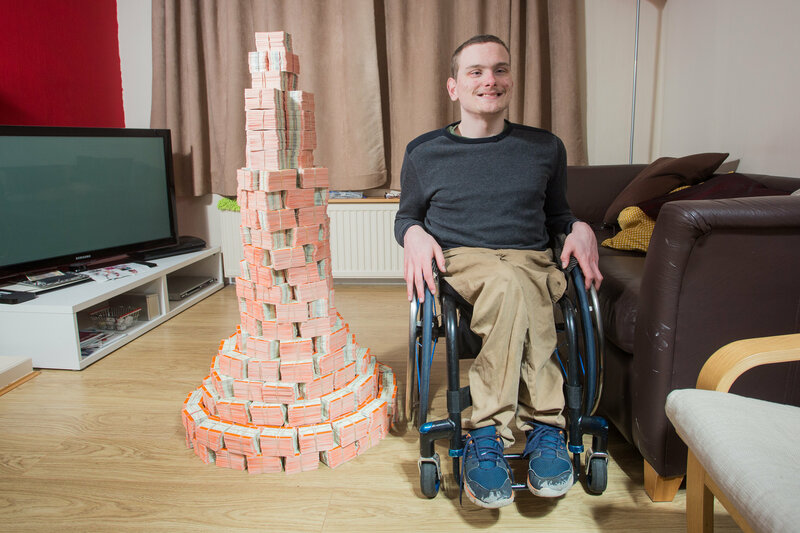 James, who has been a wheelchair since he was just two and a half years old with an undiagnosed condition, hopes to smash the record by early 2019 – before train tickets are due to go paperless. 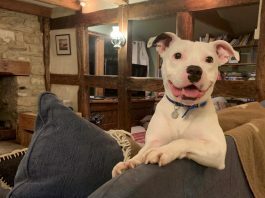 James, from Huddersfield, West Yorks., currently has 87,330 train tickets which he has acquired himself, from friends and family as well as donations from train stations – who can give him thousands at a time. Speaking about his unusual hobby James said: “I have always been a railway enthusiast all my life since I was a kid I was fascinated by them. “I was obsessed with Thomas the Tank Engine so it probably spiralled from there really. “It was around May 2014 and I must have had about 50 tickets from journey’s I had been on and I thought why not start a collection. 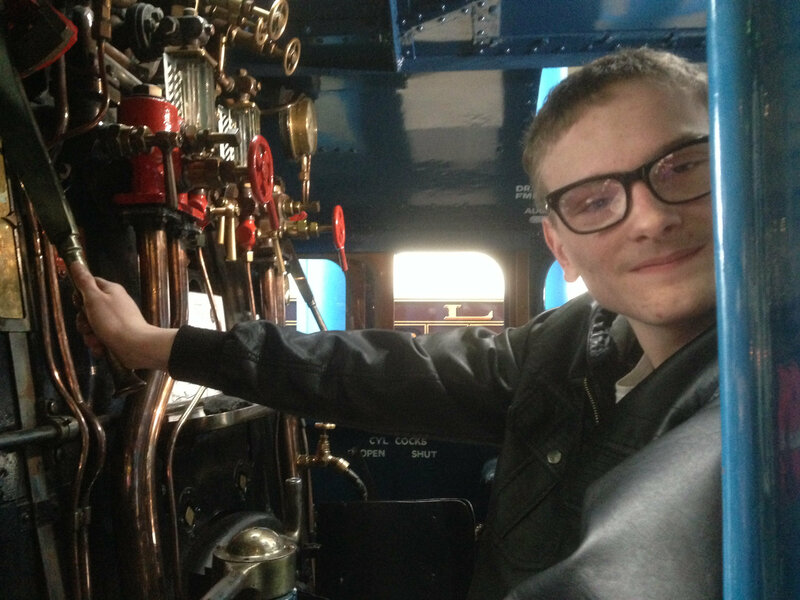 James Connelly, 19, an avid fan of trains, from Huddersfield, West Yorks., in the engine room of a steam locomotive at the National Rail Museum in York. James, who studied Tourism at college, estimates that out of his thousand tickets he was required around 250 from personal journeys. For the rest, he goes to the local train stations most weekends and on a good day and leave with up to 5,000 tickets from the ticket collection gates. The very first ticket that he kept was a journey he took from Huddersfield to Manchester, North West., on January 14 which cost him just £8.40. The furthest journey he has a ticket for is from a passenger who travelled from Southampton, Hampshire., to Leeds, West Yorks., covering just over 240 miles. 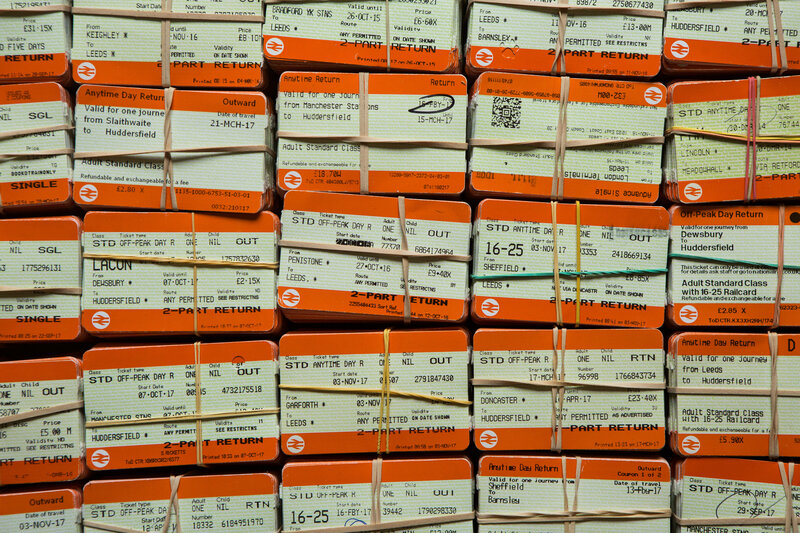 Bundles of train tickets, part of a collection of 87000 belonging to James Connelly, 19, at his home near Huddersfield, West Yorks. He keeps his huge collection in his wardrobe in bundles of 200 so that it is easier for him to keep track of the staggering amount. “I can drive myself to the station or I go with my mum and grandma. James is well on his way to achieving his goal with his quest really taking momentum with him collecting 70,000 tickets just last year alone.